You can’t beat putting into practise what you’ve been learning and we humans definitely learn best by doing. Every course I run is very hands on with the camera, finding settings, using them and comparing results with other settings, but I find people learn fastest when they are out and about. This is why I always include a practical element in my workshops where people encounter changing light, obstacles and often inclement weather. On today’s one to one with client, Marie, we had plenty of weather thrown at us – torrential downpours, hail, sunshine. We had planned to go a garden but switched to somewhere which offered coffee shops to shelter in if necessary and were very glad we did! It was pouring it down when we met up so we started with a short chat over coffee about where Marie was at and what she’d like to “focus” on this second session. Since we last met, she’d been working hard on using the aperture setting and adjusting ISO to get the desired shutter speed and was so comfortable doing that, that she’d ventured onto Manual a few times. Take a look at this blog on shooting on Manual if you’d like to give it a go. During our walk about Marie used Manual exposure constantly, getting more comfortable with looking through the viewfinder and changing settings at the same time. We also changed a few settings on her camera which were making it hard for her, so she was much happier. Knutsford is a very pretty little town with a lot of history and we found plenty of interesting details to photograph. 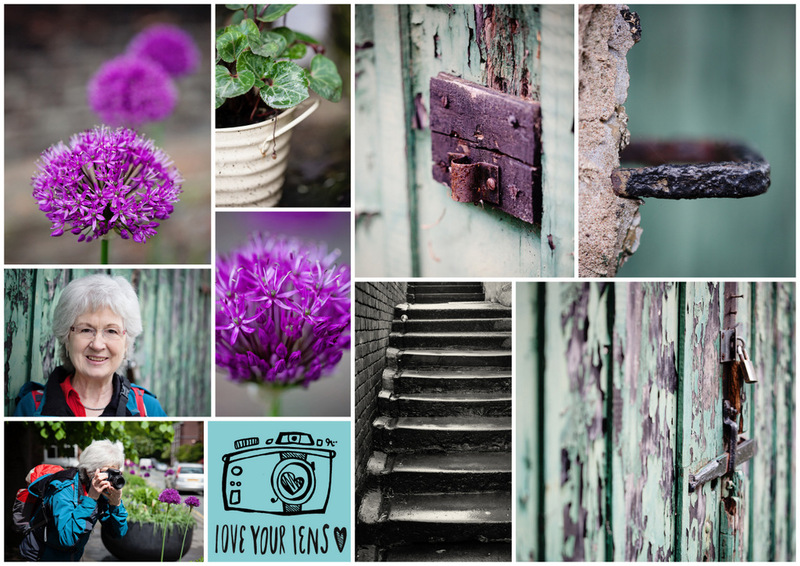 We talked about looking for more interesting composition, using texture and detail, such as the peeling painted gates and shooting from different angles and focal lengths. In Tatton Park Marie managed to get some lovely shots of stags with new furry antlers, whilst I held the umbrella to shelter her from another downpour! Marie is a keen blogger and likes to do close up food photography and, again over a coffee, we looked at how to shoot using Manual Focus and Live View for really sharp close ups with lovely blurred backgrounds. Having mastered Manual Exposure I think Marie will be nailing Manual Focus next and taking some stunning food shots. If you’re interested in photography courses or bespoke one to one lessons click on the link to find out more.